This is not an official Wu-Tang Clan album, it's a collection of songs executive produced by the RZA and crafted by DJ Mathematics. If you don't think that makes a difference, just re-read the quote at the start of this post. It's being touted as a hip hop album not a Wu album and that speaks volumes. 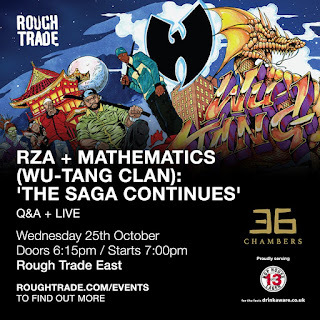 I read a review on Pitchfork that stated - "Mathematics knows the Wu-Tang blueprint well and is more than capable of executing; he supplies their staples: sample-heavy soul, knocking drums, and the usual snippets from martial arts cinema." I wanted to see how it fared against other DJ Mathematics albums, and honestly it's as Wu sounding as it gets. Arguably only Redman and Method Man shine on The Saga Continues, with requisite efforts from other Clan members like Ghostface, Raekwon, Inspectah Deck, GZA and Cappadonna. Ultimately it's a strange brew but enjoyable. It'll eventually be removed from my playlist whilst Enter The Wu-Tang (36 Chambers), Wu-Tang Forever and The W shall remain. I've listened to all the Wu albums but I'm only feeling these three. And maybe Iron Flag at a push. 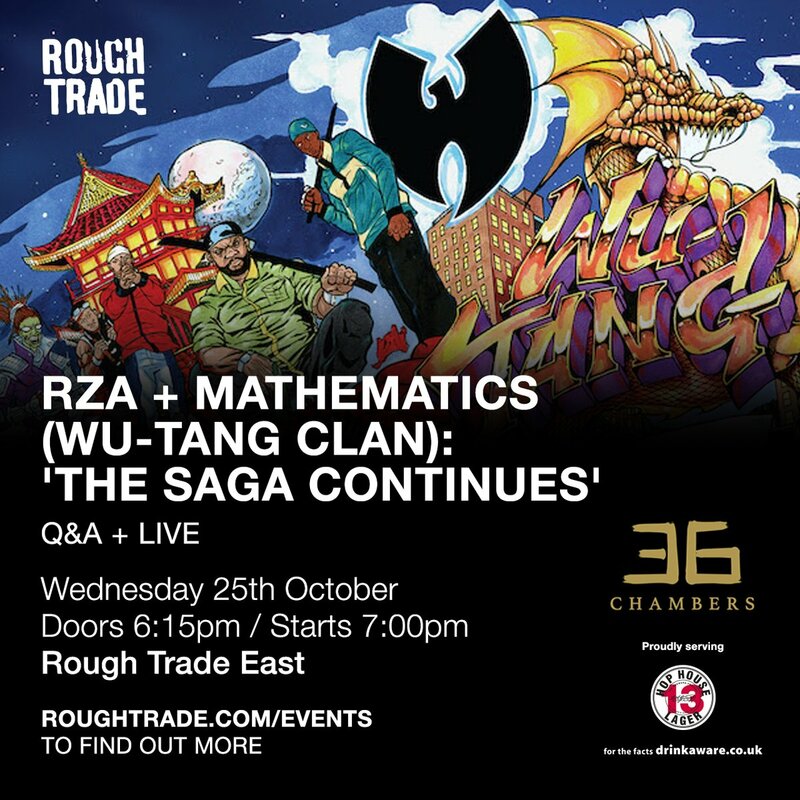 Tomorrow night the RZA and DJ Mathematics will will be appearing in person at the Rough Trade East to celebrate the release of 'The Saga Continues'. Cost of entry is the purchase of the album from the store, replacing ticket stubs with physical copies of the album. This tactic looks to be good for both the artists and the record store, and could be something we see more of in the future if consumers take to it. Interestingly this follows on from the Shade45 clip below in which the hosts and guests speak on the current state of streaming and downloads. You can order the album on CD or vinyl and collect on the night. I rarely buy cds now but I have a small collection which includes all the early Wu releases that this will be added to. I'm not passing up a chance to see the RZA speak in the flesh, even if the store have stated that there will be no signing.